call, that I had made many times before. many years. You were the answer to my prayers David. a precious moment that just occurred. embrace you and tell you a thousand times how much I love you. show me how to give. To guide me with the light of love. and what an inspiration you are to me. father. I hope you know how tremendously proud I am of you. you. There are three things in life that everyone needs. light the way David, with a single light of hope. moment we share as if it were the most delicate of flowers. their precious children. How blest am I...I will tell you. I am the luckiest and proudest Aunt in the whole world. 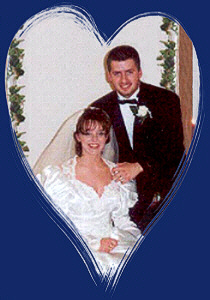 I love you Christy and David, I love you with all my heart!